Google Labs has launched a body browsing Web page, allowing anyone to look up an organ and find it in the human body. Sadly, it’s a bit limited. 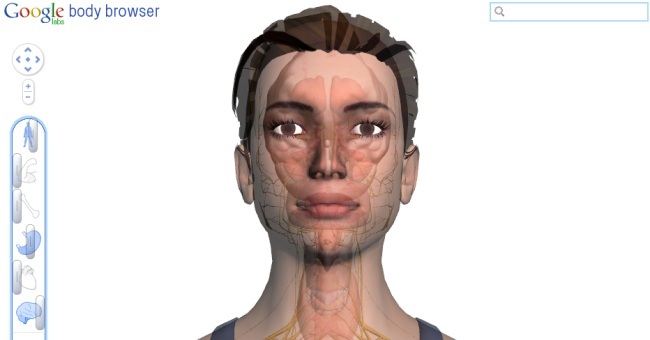 Today, the search company launched the Google Body Browser, a page that lets you view and search for, in three dimensions, any organ or organ system in the human body. Unfortunately, getting it to work is a bit difficult. Because it uses WebGL, a 3D graphics API that runs within a browser, you must install a beta version of the Google Chrome browser to try it out. After you install the beta, restart your browser and it should work. Gmail Mobile In Hindi And Teach Parents Tech – Google’s Holiday Tips and Tricks? t’s the holiday season and Google wants to do its part about caring and sharing. The thing that Google has hit upon this time is a website, called TeachParentsTech.org that has video tutorials to help people do basic things that any youngster of this generation would do with ease. Often, the tech embracing elders in your house would have asked you doubts regarding the use of the computer and the internet. Sometimes you would be a bit bemused and think how they don’t know these simple things. Then you would realize that they were not really part of the computer using generation, unlike you. Google has come up with a website to aid you in providing first hand information about these things. 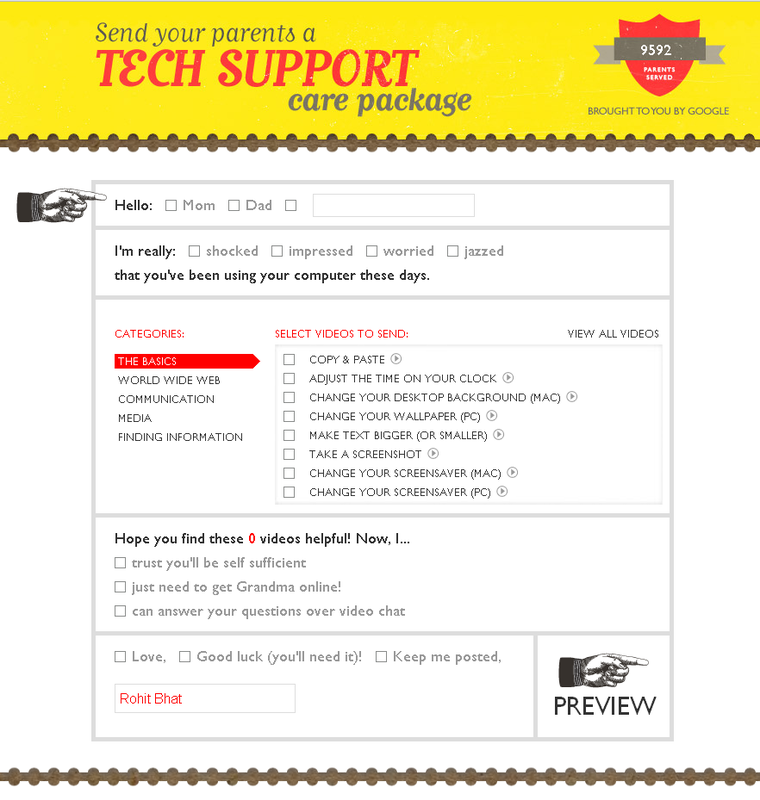 All you need to do is point your browser to TeachParentsTech.org and you can select any number of videos on various topics that you can send to your dad, mom, uncles or neighbours. You can send a custom email with all the links to the videos you have selected from about 50 different topics, ranging from copy and paste, shorten a long url, set up an email auto responder to finding a pizza restaurant near you. Not surprisingly, the videos advocate everyone to use different services of Google to alleviate their problems. Not all problems are addressed here, but it’s a start. In fact, I would recommend all the elders to visit the website and watch the one minute videos about the topics that they are not familiar about. It’s a neat website and a good idea. Nice one, Google! Face detection is a computer technology that determines the locations and sizes of human faces in arbitrary (digital) images. It detects facial features and ignores anything else, such as buildings, trees and bodies. The softwares like picasa let you to search any image with a face of the person. 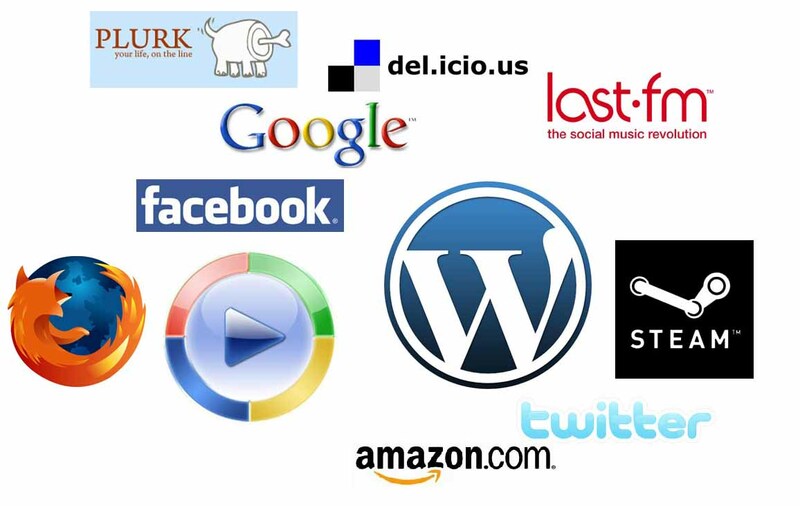 Various social networking sites also added similar kind of functionality into their websites to make rich photo albums. In this post, I’ll explain various plug-ins and libraries for face detection. Face detection is a technique where given image is searched for human faces. Face detection can be used to automatically detect and focus on face in profile pictures on social networking sites. A jQuery plug-in which detects faces in pictures and return their coordinates. The plugin uses algorithm designed by Liu Liu along with HTML5 canvas to get image data. That means the plugin will be only useful where client side browser support HTML5. Provides implementation of OpenCV in PHP. It provides two main functions face_count() and face_detect(). The first one returns count of faces found in a given image and second on returns array of their coordinates along with count. Installation instructions and demo is available on XARG’s page. 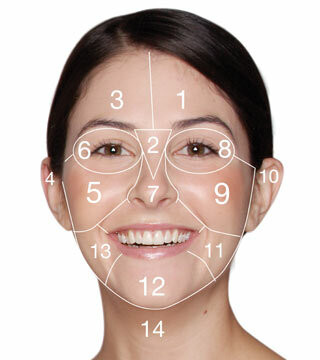 An API implemented by a Romanian developer for face detection. Simply send your API credentials along with URL of an image. The XML tree of faces along with 4 box coordinates will be returned. What makes this API useful is it takes image URL as an input and not image data. This means you can run this API on image hosted on public servers also. Similar to PHP facedetect extension, a ruby binding to OpenCV is available at Rubyforge which can be used for face detection. OpenCV handler for .NET framework which enables call to OpenCV functions from Csharp. It consists of a DLL (written in Managed C++) that wraps the OpenCV library in .NET classes, so that they will be available from any managed language (C#, VB.NET or Managed C++). WiFi is a very easy feature available for the anti-social persons to use it for their destructive purposes . If you have WiFi connection, make sure that it is secured. Here is some measures you need to take to secure your WiFi connection. Enable firewalls on each computer and router: Modern network routers contain built-in firewall capability, but the option also exists to disable them. Ensure that your router’s firewall is turned on. Position the router or access point safely: While installing WiFi, ensure that the position of the access point or router prevents its reach to the exterior as much as possible. Try to position the device as far away from the windows as possible. Turn off network during extended periods of non-use: Avoid leaving your network available when you are not using it. Shutting down your network will most certainly prevent outside hackers from breaking in. 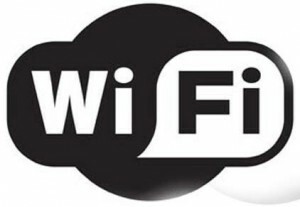 Avoid auto-connect to open wireless networks: Your connection allows you to connect to an open wireless network such as a free wireless hotspot or your neighbour’s router. This exposes your PC to security risks and attacks. Limit the no of people who can see your network by disabling the SSID broadcast: The wireless access point or router typically broadcasts the SSID over the air at regular intervals. Home users can avoid this facility. Just How Massive is Google anyway? In 2004, Mark Zuckerberg, Dustin Moskovitz and Chris Hughes, three Harvard University students, launched a Web site designed to put students in touch with one another, share their photos and meet new people. They called it thefacebook.com, and before long the site became extremely popular on the Harvard campus. A month after the site launched, the creators expanded it to include students from Stanford, Columbia and Yale. By 2005, students in 800 college networks across the United States could join the network, and its membership grew to more than 5 million active users. In August of that year, the site’s name changed to Facebook. Facebook was originally intended for college students, but today anyone can join the network. Although the site’s scope has expanded to include more than just students, its purpose remains the same — giving people a way to share information in an easy and entertaining way. Like MySpace, Facebook is a social networking site. 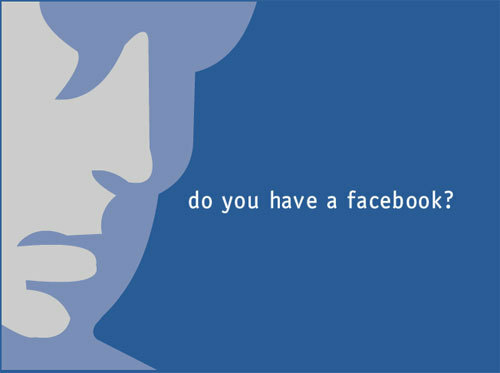 You can use Facebook’s search engine to look for a specific person. Type the person’s name into the search field, and Facebook will display any profiles that match the name. After the arrival of chrome web apps last Tuesday, I just discovered the technical difference between mobile apps and web apps. Do we really need web apps? Though google chrome have loads of free apps in this repository, I strongly believe any web app is just a click away, since we all surf web through our laptops or desktop, type the url in the address bar is not a head ache, since mobile phones are tiny with small screen and even the mobile operators are good at bandwidth, mobile desperately needs app to get connect to the web soon and and start accessing the required apps and get the things done. So here are the few technical information I gathered.Difference between mobile and web apps. The difference between web and mobile applications is that web applications lack state: every page request is completely de-linked from every other page request. It is only through various technical work-rounds that web applications manage to maintain the illusion that a web app user is running a coherent application as they navigate from page to page. In a mobile application, by contrast, every aspect of the application is targeted at a single user and the “state” of the application is a given as you navigate from dialog to dialog. In case of web apps their is tight integration, can use the resource which are on board, where as mobile apps are loosely integrated since they have less on board resources. 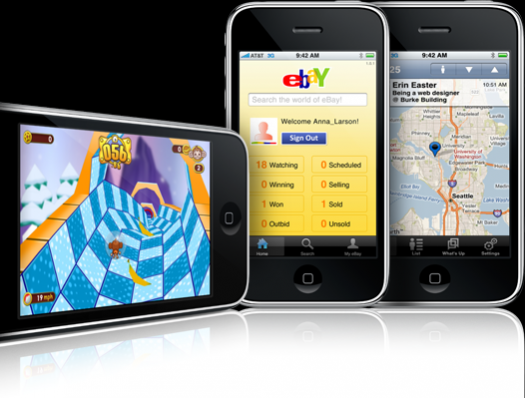 Mobile web applications are, essentially, just web applications with two caveats: the screen size is considerably smaller and the browser capabilities are generally less robust. Thus, you’d write a mobile web app in pretty much the same way as a standard web app but you can not count on some of the capabilities that you usually have with a full-blown browser. This last constraint, by the way, is rapidly going away as mobile devices become more powerful. Spyware and Adware is software made by publishers that allow them to snoop on your browsing activity, invade your privacy, and flood you with those horrible popups. If you are like most users on the internet, chances are you are probably infected with these applications. • These malicious components not only invade your PC so they can not be removed, but take up your hard drive space and slow down your PC! 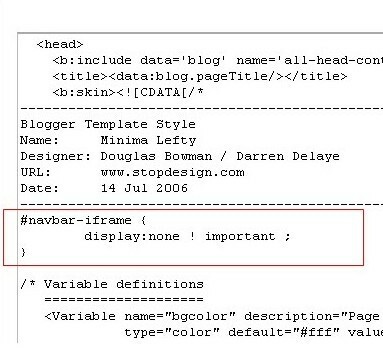 here the method to hide,disable or remove the blogger navbar(navigation bar) from your blog. Now, you can see your blog without that navbar(this tip can only hides the navbar,it doesn’t completely delete it).If you want the navbar to appear again,just remove that code and save the changes. If you have any doubts,regarding this post,don’t hesitate to ask.You can ask your doubts via comments to this post. * weight, length, volume, etc. do u know any other tricks, then we want to listen those., comment here about that.